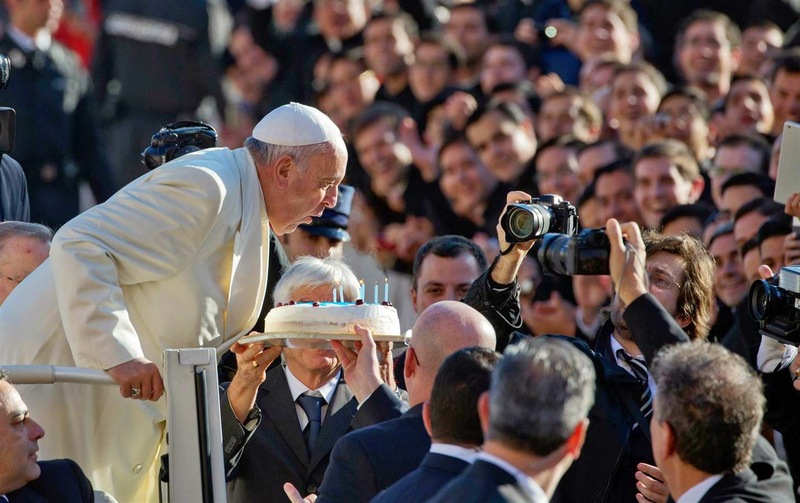 Not many people get to celebrate their birthday with a diplomatic romp... but as he turns 78 this Wednesday, the Pope can now claim precisely that. Announced this morning by President Obama in a televised White House address, the US' "reset" paving the way toward full bilateral relations with Cuba and enhanced economic ties has largely been credited to the influence of Francis and concerted back-channel work on the part of the Holy See's geopolitical apparatus. As Obama put it, at their March meeting in the Vatican, "His Holiness Pope Francis issued a personal appeal to me" to enter into talks with President Raul Castro to negotiate the release of Alan Gross, the American humanitarian worker imprisoned on the island for five years, while the pontiff urged Castro to pursue the reeturn of three Cubans jailed in the US with the White House. After initial discussions indicated a mutual openness toward resolutions, a November meeting of both sides at the Vatican sealed the agreement that saw Gross returned to the US this morning (along with a long-jailed US intelligence operative) and the Cubans likewise freed to the island. "In particular," Obama said in closing his speech, "I want to thank His Holiness Pope Francis, whose moral example shows us the importance of pursuing the world as it should be, rather than simply settling for the world as it is." 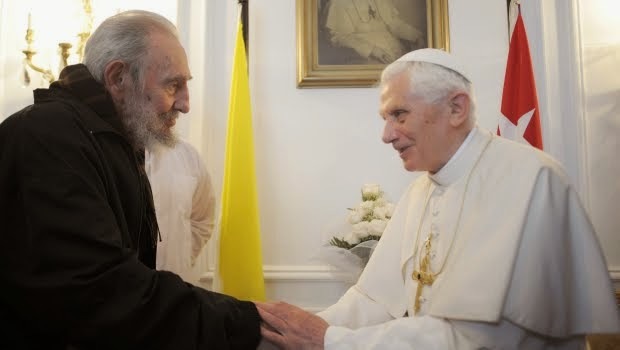 Shortly thereafter, in a rare evening statement, the Vatican Secretariat of State said that Francis "wishes to express his warm congratulations for the historic decision taken by the Governments of the United States of America and Cuba to establish diplomatic relations, with the aim of overcoming, in the interest of the citizens of both countries, the difficulties which have marked their recent history." The Holy See promised to continue "its support for initiatives which both nations will undertake to strengthen their bilateral relations and promote the wellbeing of their respective citizens." In sum, as Papa Bergoglio's June Holy Land peace summit scored global headlines yet failed to achieve discernible progress, today's development after a half-century standoff represents the signal diplomatic triumph of Francis' 21-month pontificate. Behind the scenes, meanwhile, even if the initial push came from the Pope, the breakthrough represents a no less sizable victory for Cardinal Pietro Parolin, the Secretary of State who Francis chose for the role with a mandate to restore the Vatican's traditional standing as a geopolitical powerhouse in its ability to serve as both a peerless "listening post" and trusted mediator in international disputes. In this case, the experience of Rome's key players provided an even more critical advantage: in his prior posting as Nuncio to Venezuela, Parolin had a rare insight into Cuba as the Vatican's mission-chief to what's become Havana's most significant Western ally, while his top deputy, the Sostituto Archbishop Angelo Becciu, had been Nuncio to the island itself for two years before returning to Rome as the Curia's "chief of staff" in 2011. On another major front, the Vatican's role in securing the deal has likely been the reason for the holdup on Francis' intensely-awaited appointment of the next archbishop of Havana, which ops in Rome and Latin America have expected to take place sometime this fall following August's celebrations for the 50th priestly anniversary of Cardinal Jaime Ortega y Alamino, who at 78 is three years past the canonical retirement age. 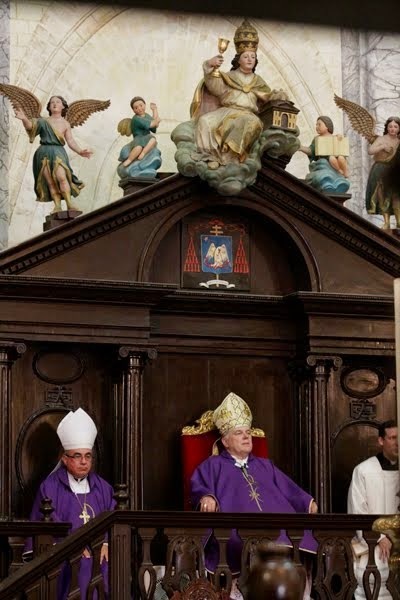 While the Cuban church has been granted an enhanced space with which to work over Ortega's two-decade tenure at the helm – a reality sizably aided by two papal visits (in 1998 and 2012) – the new inroads have come at the expense of unrelenting criticism and suspicion toward the cardinal by the influential exile community, which has assailed Ortega as an accommodationist to the island's Communist regime in exchange for the church's increased freedoms. The US deal's announcement notably comes 48 hours after the US Secretary of State, John Kerry, met with Parolin for the second time at the Vatican. As Francis' SegStat was ostensibly briefed in confidence on the accord's release by his Stateside visitor, the Holy See's readout of the conversation revealed that Kerry sought the Vatican's aid on finding "adequate humanitarian solutions" for the treatment of terrorism-related prisoners at the US' detention facility at Guantanamo Bay, which the Obama administration has long aimed to close. 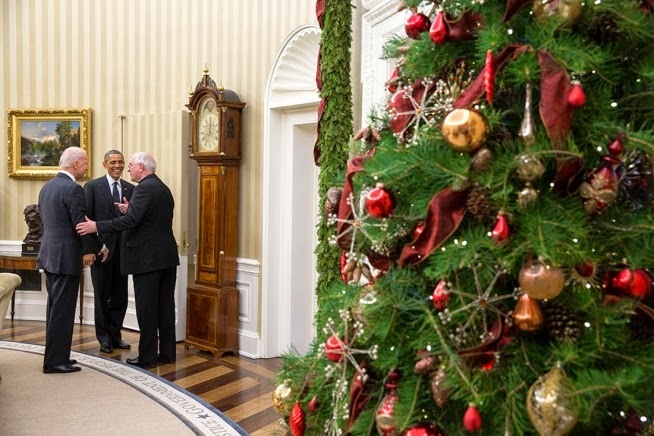 Back to the White House, yesterday likewise saw an appearance in the Oval Office from the USCCB President, Archbishop Joseph Kurtz of Louisville, for his first meeting with both Obama and Vice President Joe Biden (all above). No statement on the sit-down was given from either side. Though today's policy reboot will widen the US' permissions for citizens to travel to Cuba and enable Cuban-Americans to increase their ability to send fiscal aid to their families and friends on the island, it's important to emphasize that the Federally-approved Stateside Catholic entity to help fund the Cuban church – the Boston-based Friends of Caritas Cubana – was already limit-free before the shift and is able to continue its work without change. While the USCCB's international policy chief, Bishop Oscar Cantú of Las Cruces, issued a statement welcoming the Cuba accord as "past due" and urging even "more engagement" across the 93-mile strait, on this day, the national church's lead word comes from a different Mothership... the one "so close to the United States." Amid no shortage of blaring speculation on the Pope's so-called "possibilities" for the red hat at next February's Consistory – even as, by the Faith and law alike, the Roman Pontiff freely acts however he deems fit – it's admittedly been rather amusing that mention of the archbishop of Miami has been conspicuous by its absence. Then again, when it comes to the bearer of the most self-aware motto of any American bishop, commentators of whatever stripe would simply have too hard a time fitting Tom Wenski into any kind of secular political dynamic. Ever since the native son took his talents back to South Beach in 2010, the first-ever red hat for the American Southeast – lest anybody forgot, the site of the now-US' oldest Catholic settlement – has hung in the balance. 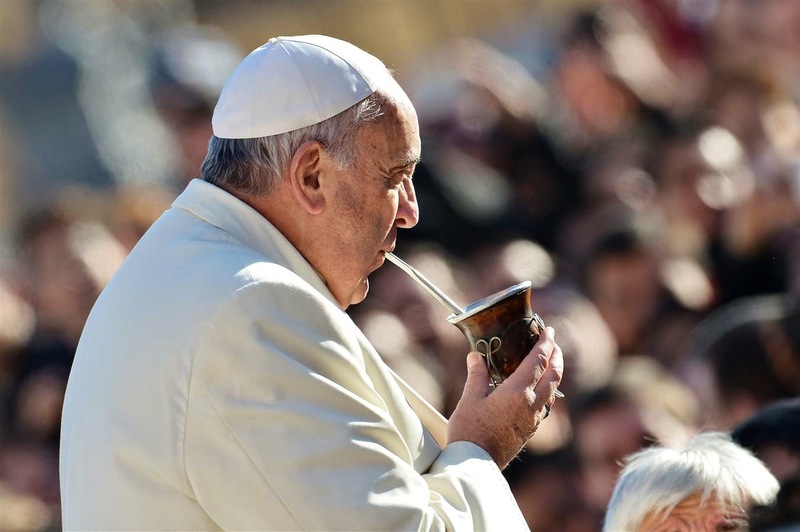 Add in that, over the time since, the 64 year-old championed Bergoglio's manifesto at Aparecida long before it became fashionable and counts two of Francis' lead confidants as his own longtime allies – all in the context of leading what's now a 1.4 million-member church in a key continental outpost – and all around, whatever happens in early January, the church's lead voice in what'll soon be the third-largest state has become a force to be reckoned with well beyond these shores... and that's just how he likes it. Having grown up in the context of the Cuban Revolution's seismic impact on South Florida, ministry among the exiles has been a fixture of Wenski's life from his days as a seminarian – so much so that the community's legendary "godfather," the late, saintly Bishop Agustín Roman, preached his first Mass. 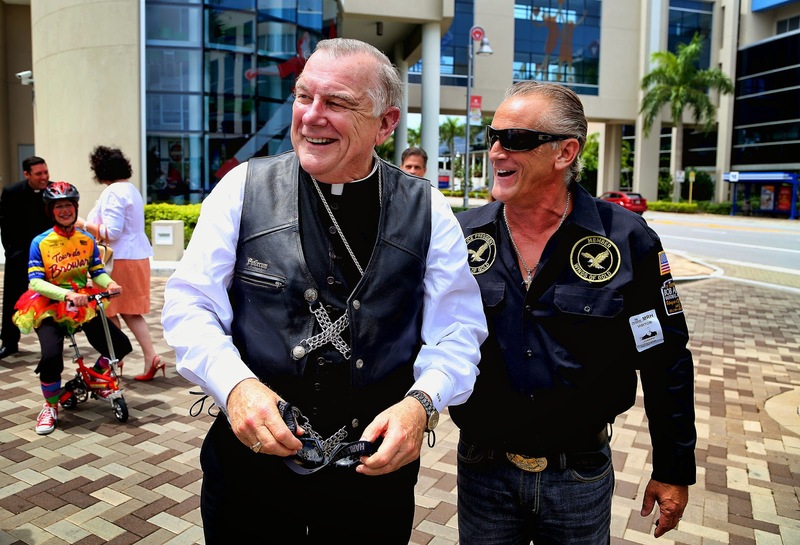 Later, as head of Miami's Catholic Charities, the young auxiliary coordinated 75-ton food drops onto the island while moonlighting as a fixer for fresh immigrants, zipping his Harley past the bench's crop of exiles in the process to become the US church's de facto spokesman for Cuban affairs. Accordingly, as today's news hit Calle Ocho with the force of a bomb, a horde of TV trucks instead charged Miami Chancery, which gave the place the feel of what an on-site op termed "a war room." And fresh off being honored by the local Hispanic press, it was just another instance of the man in his moment. In a prepared statement, Wenski echoed the call he gave from the chair of the archbishop of Havana during a 2012 Mass in the capital's cathedral, where he implied in his homily that the Cuban leadership was "doomed to die... in their sins because they have refused to recognize [Jesus] as the 'I am' of human history," while urging "a 'soft landing'" for the island's people, "a landing that is open to a future of hope." Both President Obama and Raul Castro expressed appreciation to the role of Pope Francis in making possible what seems to be a real game changer in the historically strained relationship between Cuba and the United States. Pope Francis did what popes are supposed to do: Build bridges and promote peace. He acted much like his namesake, Francis of Asissi, who during the fifth crusade, went to Egypt to meet with the Sultan al Kamil in the interest of peace. The Church in Cuba has always opposed the embargo, arguing that it was a blunt instrument that hurt the innocent more than the guilty; and the U.S. Church has supported the Catholic Church in Cuba. We have consistently advocated that the U.S. should revise this policy, in the hope that engagement and dialog would prove more helpful in improving conditions in Cuba than a policy of confrontation and isolation. In comments that Raul Castro made, he seemed to indicate that his government was open to engage in conversations with the U.S. on issues related to democracy and human rights. Progress in this area is normally the result, and not the precondition, of such talks - and so the prospect of such talks is a positive development. As president Obama said, to seek the collapse of Cuba is not sound policy. Cuba needs change. Today's announcement is a game changer as I said - but as Cuba transitions through such changes we all should encourage a soft landing - that is, change that is peaceful and offers real hope for the Cuban people on both sides of the Florida Straits. True to form, with ferocious protests over the policy-shift having emerged from much of South Florida's exile leadership, late word from Miami says Wenski's slated an early Thursday meeting with the group. All that said, however, the Quote of the Day – at least, on the ecclesial front – belongs regardless to Francis' marquee domestic appointee to date: in his own quickly-released statement, Archbishop Blase Cupich of Chicago observed that while "usually people receive gifts on their birthday," thanks to his involvement in the lead-up to the accord, as he turned 78, today's news instead made for a gift the Pope "has generously given to the world."